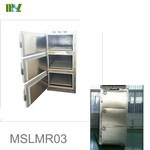 The corpse cold storage and freezing box /corpse cabinet is a series of product for hospital, funeral parlor, and postmortem examination department to store the corpse. maintain the temperature constancy in the box at 3±2°C precisely. be displayed and calibrated at -10.0~10.0°C. The calibrating increment is 0.1°C. 4. The forced cold-air circulation system with intelligence-control fan can ensure the temperature uniformity inside the box. (two sensors for some systems) inside the box and two temperature indicators outside the box, which are to display the temperature of upper and lower point, for users to supervise the temperature at each operating states in the box. The display precision--resolution is 0.1°C. 2. The distinguished power-off memory function can hold and store huge temperature data and information permanently. 3. The temperature printing has password protection function, which can prevent illegally printing of the temperature fluctuation information. 4. 5-ways alarm system: including 2 sound alarm devices with 220V power supply, 2 light alarm devices with 220V power supply and one remote signal alarm apparatus (optional), consisting the super complementary supervision system. 6. Communicate with PC through RS-232 interface to examine the temperature curve diagnosis diagram of one or more refrigerators and display the data sheet. The data and images can be stored, inquired and printed[Optional]. 2. Setting of the alarm temperature range. 3. 7 system failure alarms (high temperature alarm, low temperature alarm, sensors failure alarm,door-opening alarm, electricity failure alarm, low back-up battery alarm, low voltage alarm). 7. The system can record the condition of the maximum and the minimum temperature inside the box automatically without recording paper. 8. 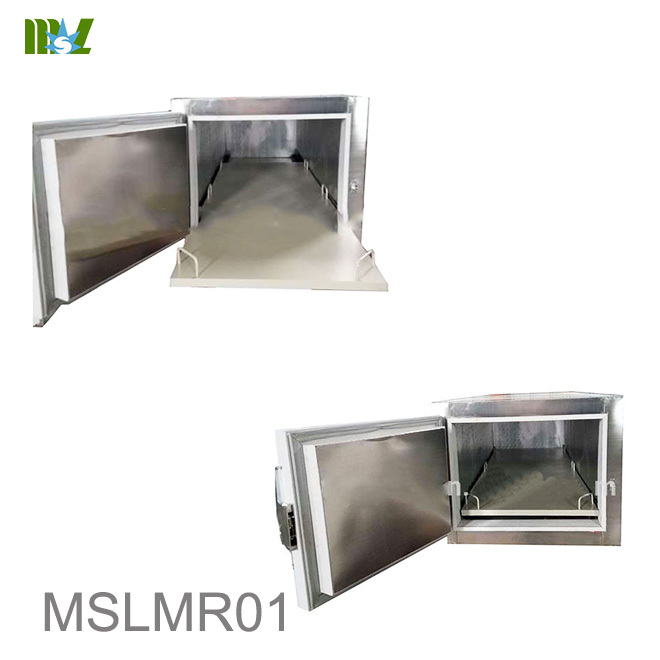 With the specially designed function, the system can operate under the state of sensor failure or the state of numerical disturbance safely and automatically. 9. The operating parameter display function can ensure that the system is under supervision by operator and with security and stability. 11. The distinguished operating parameter of the temperature control system can separate the operator menu from the supervisor menu, which can locate the respective responsibility of the operating parameter and the article storage. 12. The inbuilt lithium accumulator can keep displaying the temperature inside the box and can keep the light and sound alarm available for 72 hours after electricity failure. 2. The DC24V-AC220V inverter is adoptable, and the DC24V power supply can keep the refrigerator under normal operation. 4. 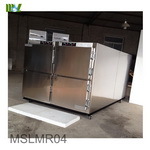 Fluoride-free refrigeration system for environmental protection to make green products and create green world. 1. 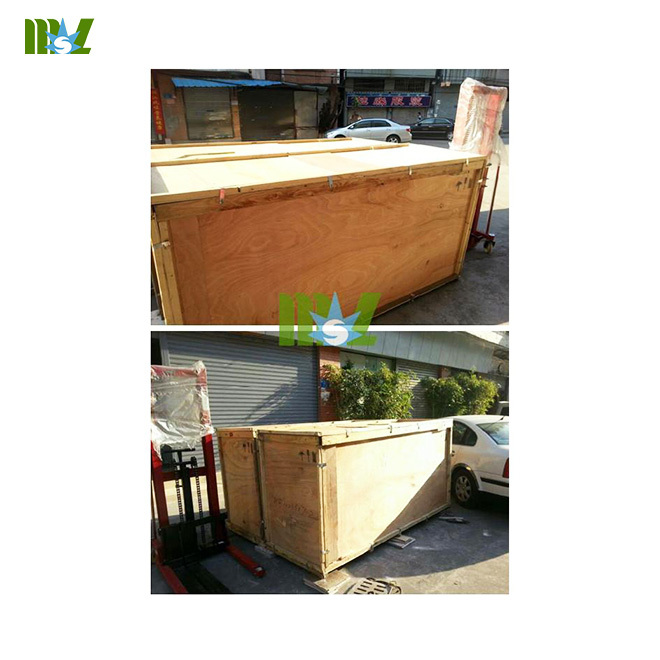 The interior and exterior shell of the refrigerator are made of high-quality stainless steel with high corrosion resistance and beautiful and luxury appearance. 2. 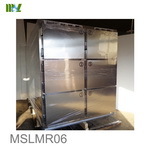 The insulating layer is made of imported polyurethane foam materials with high thermal retardation against cold loss. 3. Adopt the high-quality gel strip for door gasket with strong ageing resistance ability, which can lengthen the service life of the door gasket. 4. 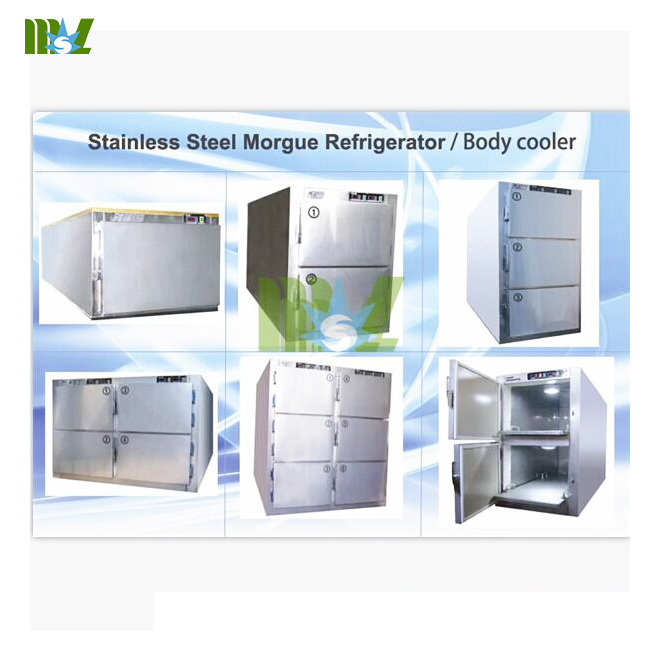 The number of the independent imported low temperature refrigeration system is same as the number of the corpse in one refrigerator, and each refrigeration system’s temperature range can be adjusted individually,and the temperature of each chamber is independent. 5. The bottom side of the corpse tray has many rows of small roller wheel for moving the tray easily. 6. 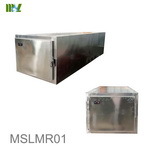 The internal and external shells of the refrigerator are made of high-quality stainless steel materials. 7. Copper vaporizer cooling pipeline can guarantee the ultra-long service life. 8. 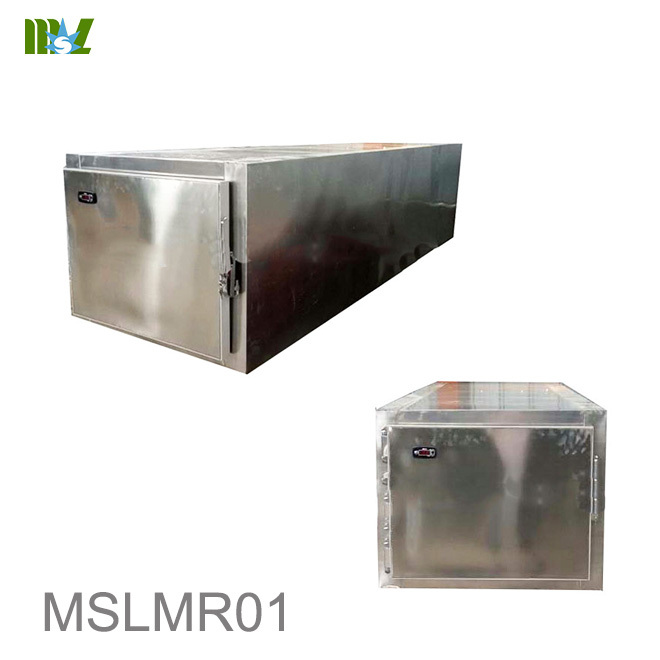 The refrigeration system of each chamber is individually controlled, and the temperature can be adjusted without interference. 9. 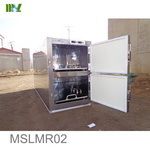 The safe lock design can prevent missing-opening. 10. Wide voltage band is available for 187-242V voltage.